Data released last month by the Canadian Centre for Justice Statistics in a report on Criminal Victimization in Canada confirms this reality for Canadian women. The report revealed that sexual assault remains the only crime in Canada for which there has been no decline. Furthermore, it notes that women, particularly Indigenous women, women with disabilities, women who are homeless, and women who have experienced childhood abuse are the most frequent victims. Women activists with disabilities and Deaf women activists around the world, including DAWN-RAFH Canada have been working to respond to this issue. Several have been recognized by the Making It Work Initiative on Gender and Disability Inclusion, coordinated by Handicap International, for their models of best practice in responding to violence. In November, Handicap International released a report describing these women-led initiatives from Burundi/USA, Canada, Columbia, Costa Rica, Fiji, Guatemala, Israel, Kenya, Mexico, and Uruguay. DAWN-RAFH Canada continues to build on our work in this area through our newest initiative “Legislation, Policy and Service Responses to Violence Against Women with Disabilities and Deaf Women”, which will examine and address the gaps in policy and service provision that contribute to the high levels of violence against this group of women. The initiative seeks to bridge the gap between policy and service delivery by providing women with disabilities with an opportunity to propose responses directly to policy makers and service providers. 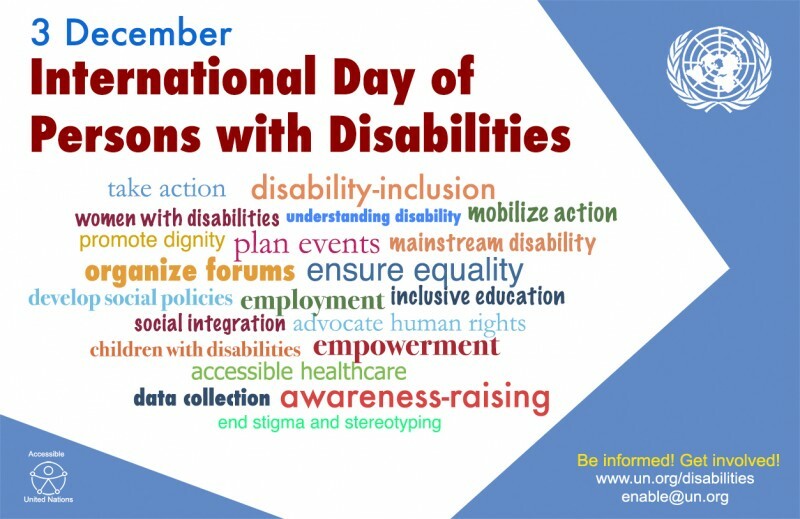 On December 3, International Day of Persons with Disabilities we will be participating in a Twitter Teachin during which we will share the important work of our global sisters with disabilities in addressing violence. Follow, retweet and share at @DAWN-RAFHCanada using #GBVTeachin, #16days, #MIW and #IDPWD2015! A panel of women address the Gender and Disability Forum, part of the Civil Society Forum preceding the 8th Conference of States Parties on the Convention on the Rights of Persons with Disabilities.